Congrats to TYRANT's own Jake Lineberry, Bryan Arnwine, and Dave Blachura, all 3 riders are now getting hooked up from Cutting Edge. Ryan Howard approached me about starting a TYRANT/Cutting Edge BMX Team, and I was really stoked, but I had to respectfully decline. TYRANT has its roots planted deeply in the BMX community and I wouldn't feel comfortable showing "complete loyalty" to only one shop when there are a lot of great shops in New England who support the BMX scene. 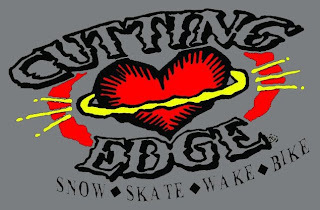 I'm psyched for the guys and psyched that Cutting Edge is looking to step it up in the BMX community and I support all of them 100%! I'll be shooting photos of the guys riding at various events which will be turned over to Ryan for Edge ads, the shop website, Facebook, etc. This is a great opportunity to gain each rider and Cutting Edge a little more exposure out there in the BMX world. Go check out the Edge's site and Facebook! Thanks Craig & Ryan @ Cutting Edge!